Before Floridians made key lime pie their internationally-known dessert sweetheart, they baked pies using the juice of another tangy, local citrus. When the Spanish first arrived in the state during the 16th century, they brought assorted species of local flora from Europe. Before long, sour oranges, most often of the Seville variety, dotted the sunshine state’s landscape. 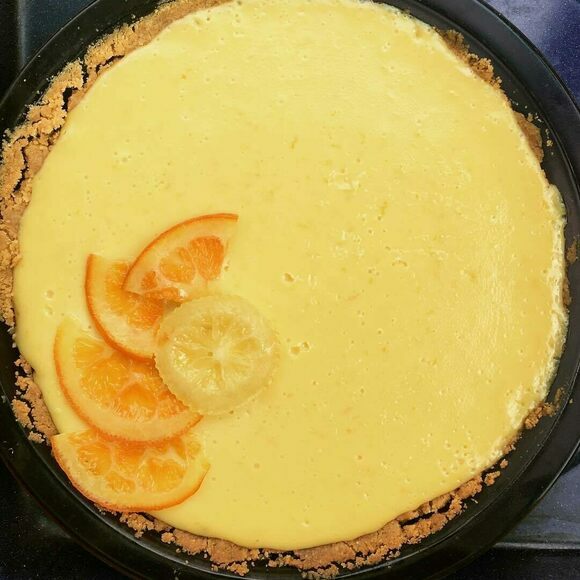 Today, cooks whip up the tart pie using sour orange juice blended into creamy custard. In Garden & Gun, a local chef describes the traditional treat as having a “brighter, cleaner flavor than key lime pie,” which he attributes to the lack of condensed milk in original sour orange pie recipes. Today, bakers often do include sweetened condensed milk in their fillings—akin to key lime pie—along with a buttery crust of crushed crackers and topping of fluffy whipped cream or meringue. And though there’s no imitation that can match the true flavor of Seville oranges, bakers in other parts of the country approximate the flavor by using a combination of lemon and orange juice. For a condensed milk–free version, check out Garden & Gun's recipe. If you'd like to add it, consult the version from Cooks Country. Established in 1952, this restaurant serves authentic Floridian fare, including sour orange pie. Roadside vendors in the Deep South soften fresh goobers with bubbling brine. In this tangy treat, no part of the citrus is left behind.